The virtual mailroom is taking off in a big way. If you are still on the fence about going digital with your mail, take a look at some of the following advantages. 1. Your post is sorted so you don’t have to worry about it. Having your post sorted for you will also make it easier to access as each document will be placed into its corresponding folder and made text searchable. 2. You can take steps towards a paperless office. 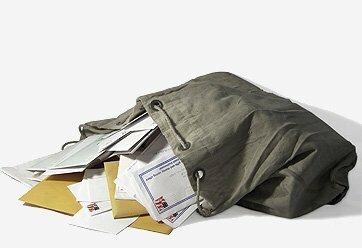 Once your post has been scanned and sent to you (and once you are happy with the digital copies) your paper documents can be shredded with no need to store them in filing cabinets in your office. 3. You can have your cheques paid in for you and the invoice forwarded. No more rushing to the bank on your break to cash a cheque, the virtual mailroom team will also cash your cheques and record each one on an excel spreadsheet using relevant details to make them searchable at a later date. 4. Your post will be more secure in a digital mailroom. Hard copy mail is susceptible to loss, damage and theft but when you store your scanned post in a digital mailroom, the contents is secure and safe and files can be encrypted for added protection. 5. Virtual Mailrooms offer significant cost benefits. You won’t need to hire an extra staff member to sort through all of your office post which will save costs. You will also reduce costs on document storage when you eliminate the need to keep hard copy paper documents. 6. You could also save a significant amount of space. By turning your mail digital, you will eliminate the need for designated space to sort the post out and also reduce the amount of storage space needed. Here at Pearl Scan, we think the advantages of a digital mailroom speak for themselves but if you would like some more information on how your office can benefit from virtual mailroom, get in touch today or request a quote using the button below.